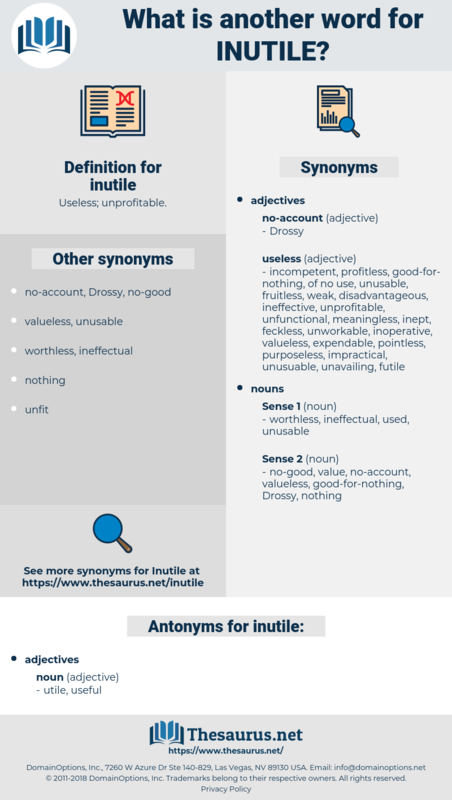 What is another word for inutile? The study of life at a distance is inutile; the study of it at close range is defective. 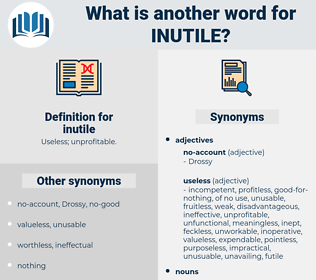 He had already demanded the attention of the manager, Professor Bulge, Draycott and two underlings to his case and they were now involved in a babel of inutile reiteration.